From the outset of the Keizer Revitalization Plan, Community Development Director Nate Brown has said the city intends “to change the way it does business” with regard to development along River Road. However, the city can change its practices and still find itself in a market unable or unwilling to meet it halfway. That conclusion is based on trends in the rental market. An average Keizer rent pencils out to approximately $1.20 per square foot, or $900 a month for a 750-square-foot apartment. 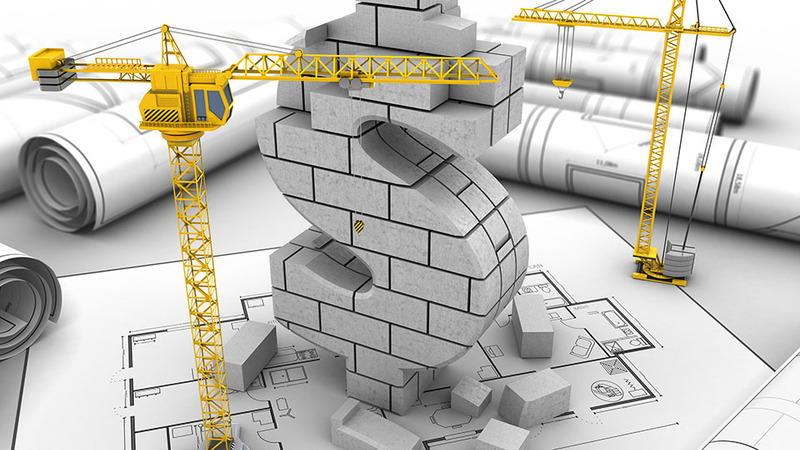 “While it may sound like a lot of money, such rent levels will not justify new construction. Simply put, the rate of return will not be high enough for a bank to loan on a project at that rate,” states the analysis prepared by Otak, Inc., Angelo Planning Group, Johnson Economics, and Kittelson & Associates. The $1.20 per square foot amount would mean about a 5.8 percent return on investment and builders would likely seek a 10 to 12 percent return before pulling the trigger on a new Keizer project. Driving up the going rate per square foot would likely also require Keizer’s “downtown” to become a destination space that residents would pay more to be closer to. However, currently the city lacks entertainment options for anyone under the age of 21 and the diversity of services remains somewhat limited overall. Another hurdle is the city’s low jobs-to-housing ratio. A balanced ratio is considered slightly more than one job per household. Keizer has .48 jobs per household and more than a third of them are in the retail sector. According to the study, economists suggests ideal communities have about 10 percent of their jobs in retail. Additionally, new and redevelopment could potentially price some Keizer families out of Keizer completely. In the most rosy projections, the city could add as many as 2,500 new residences, but those will most likely come at the expense of those already in the lower income brackets. “New buildings are generally built at the high end of the price range within the city. Rental residential buildings that redevelop are often also the ones with the lowest monthly rents,” the study suggests. When Rev. 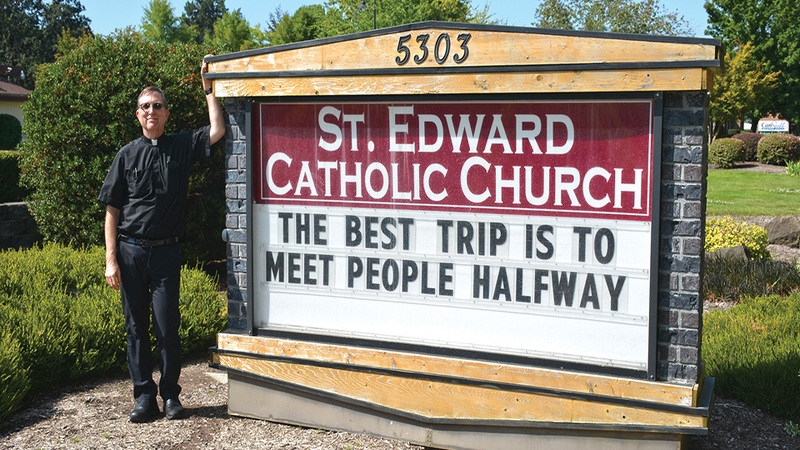 Gary Zerr took his first tour of the St. Edward Catholic Church campus, he honed in on the sign out front. He was less than impressed and told his guide as much. That’s when he found out his driver was the one who paid for it. He half-chuckles, half-sighs at the memory. So he lived with the sign. For a few years. A decade ago, the church replaced the sign with a new one, with bigger, more readable lettering. But that wasn’t the only part of the sign that has changed over the years. Zerr said of the sign in the early days, “We had really boring things…like ‘community dinner this Wednesday.’” The sign didn’t have any interest to it. Then Zerr discovered Keizer Christian Church’s sign on Wheatland Road in north Keizer. Nevertheless, Zerr decided St. Edward could do better. He bought his own. There are a surprising number of books on improving one’s church-sign slogans – five of which Zerr keeps in his office. He found new material, but it didn’t always occur to Zerr how meaningful the sign was to people. Zerr sees the sign as a way to make a small impact in people’s lives, even if it’s just a momentary chuckle as they drive down River Road. And while the messages bend toward Jesus-centric, they are also meant for the community at large. The sign has its evangelical purpose, however. Some current parishioners were lured into the church by the pithy sayings on the sign. “We had a guy who came in named Ed. We called him Drive-By Ed because he drove by, came in and joined the church,” Zerr said. “Many people spur-of-the-moment will come in from seeing those things. They think, well, there’s a Catholic church with a sense of humor and they’ll come in and check it out. Some stay,” Zerr said. Announcements for twice-annual Catholics Come Home classes have also found receptive audiences in the drive-by crowd. The slogans that end up on the sign go through a vetting process. Suggestions for the sign are brought forward at St. Edward’s 15-person staff meetings, to make sure they really are funny, and definitely not offensive or political. Suggestions come from Zerr himself, the church staff, his collection of church-slogan books and the community. “I’m a strong believer in collaboration. These things need to be discussed in a group, so we can decide what works,” he said. “That was the saying that got the most attention of anything,” Zerr said. But more than Zerr’s love of puns, the sign helps him live out a mission rooted in faith, one that he didn’t come upon until after a 10-year career with American Airlines. During that time, he was involved with his church, but didn’t make the commitment to become a priest until he was 35 years old. When Chris Nelson walked into the McNary band room for the first time in more than a dozen years, hundreds of memories rushed through his head. Nelson began playing in the percussion section as a 12-year-old at Whiteaker. He picked percussion because of its versatility. Instead of being stuck to one instrument, he could play bass drum, snare drum or even bells. In high school at McNary, he fell in love with mallet pitched instruments like the xylophone. By his senior year (2005), Nelson knew he wanted to be a teacher. “I remember vaguely kind of imagining wouldn’t it be cool to be the band director here but it was nothing more than a day dream,” Nelson said. Nelson earned a bachelor of music in instrumental music education from Brigham Young University and master of arts in music performance with an emphasis in conduction from Washington State. After college, he became the band director of Timpanogos High School in Orem, Utah. Nelson started the program with 50-60 kids and grew it to 80-90 in three years. His ensembles were consistently recognized for their quality with superior ratings at concert band, jazz band, and solo and ensemble festivals. The Timpanogos marching band was recognized with numerous first place finishes and caption awards in their division, and was named Utah’s 2016 Division 1A State Champion. During his time at Timpanogos, Nelson served on the School Community Council, and received numerous grants to develop curriculum and materials as a member of the Orem City Band Directors collaborative group. Nelson had not planned on leaving. Nelson’s parents still live in Keizer and his in-laws are in Tigard. Nelson and his wife have three small kids, ages 5, 3 and 1. “When they made the job offer, we didn’t have to think about it too long,” Nelson said. While Nelson is open to bringing back the competitive drumline, he’s not looking to make any immediate changes. He also wants to hear from students and parents. Nelson wants to continue the McNary tradition of serving the community. Along with teaching, Nelson has also played professionally with the Utah Wind Symphony and the Utah Premiere Brass, a British style brass band. “I love playing and I think it’s important for music teachers to play and perform so I’ll be looking for opportunities and groups to play with,” Nelson said. 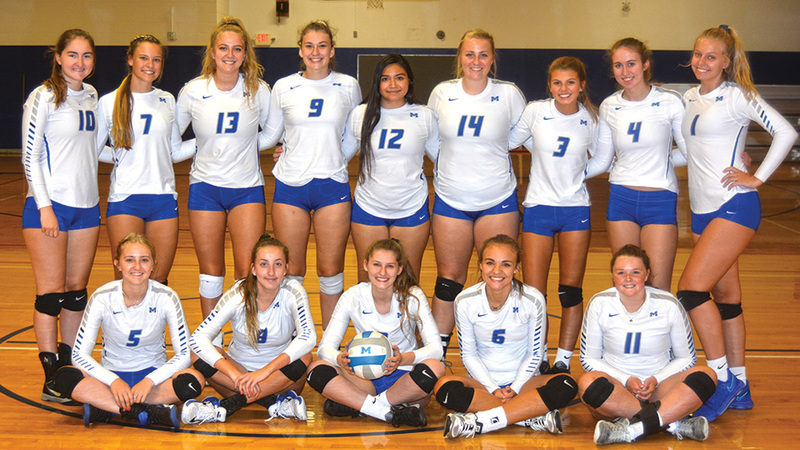 McNary’s 2018 volleyball team won’t look the same on any given night and that’s exactly how Crystal DeMello, entering her second season as head coach, likes it. “The girls are well-versed in volleyball so if we want to run different offenses or defenses, we’re able to implement changes mid-game,” DeMello said. The Lady Celts return seven girls from last year’s varsity squad that finished 10-13 overall and fourth in the Greater Valley Conference—seniors Sofia Zielinski, Kara Thomas, Hannah Corpe and Gabby Shepherd, juniors Zoie Warner and Chloe Diede and sophomore Taylor Ebbs. Thomas and Warner were both GVC All-League honorable mention selections last season. McNary has 42 girls in its volleyball program, 14 on each team—varsity, JV and freshman. Dividing up the three teams wasn’t easy. “It was a long tryout,” DeMello said. “We’re carrying the largest squad that we can at every single level because tryouts were extremely competitive. Playing in the new Mountain Valley Conference, the Lady Celts will be tested early. McNary travels to Bend, winner of the 2016 and 2017 5A state championships, on Tuesday, Sept. 4. Summit, the state runner-up in 2017 and champion in 2015, then comes to Keizer on Thursday, Sept. 6. In 17 years as the head boys soccer coach at McNary, Miguel Camarena has had three teams he felt could seriously win a state championship. The first step is instilling confidence in a group that has finished sixth in league play the past two seasons and returns zero players from the 2014 squad that won McNary’s last conference championship. The Celtics are led by captains Miguel Bravo, a senior midfielder, and junior Luis Lopez, who made the varsity team as a freshman but has missed most of the past two seasons with injuries. However, Lopez enters the year healthy after a successful club season. Senior Sebastian Lopez will start at goal keeper for the fourth season in a row. “He’s the best goal keeper in the state, no doubt,” Camarena said. Senior Jesus Lopez, another four-year starter, will lead McNary’s defense, which allowed a league-best 19 goals last season. Camarena expects senior Jose Zamudio and sophomore Alex Salazar to lead the Celtic attack. Salazar is one of five sophomores who played varsity last season as freshmen. 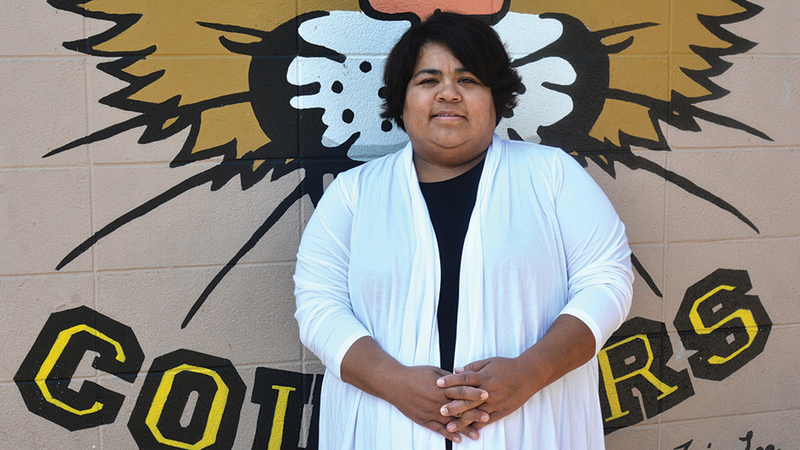 “We have experienced combined with a lot of young kids,” Camarena said. McNary will play in the new Mountain Valley Conference. In place of McMinnville, North Salem and Forest Grove, which finished first, second and fourth in the Greater Valley Conference last season, the Celtics add Bend, Summit and Mountain View. Bend had the most success last season, losing in the semifinals of the 5A state playoffs. 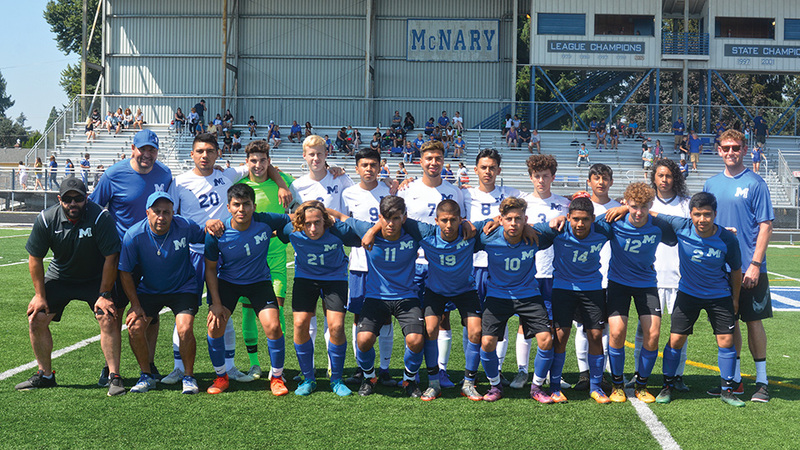 McNary opens the 2018 season at home on Tuesday, Aug. 28 against Central at 7 p.m.
Peggy and Jerry Moore oversee the Rickman Community Garden. They serve as ushers at the Elsinore Theater. They also sit on the board of Keizer United. Well, Jerry does. Peggy supervises, though. Prior to some health issues—these kinds of things happen once you begin measuring your life in decades—they picked crops at Salem Harvest, served lunch and dinner at the Salvation Army, worked with Marion Polk Food Share. They did things separately, too. Jerry gave fork lift lessons to workers trying to become certified operators at Marion Polk Food Share, Peggy taught angling with Fish and Wildlife. To put it simply, Peggy and Jerry Moore are volunteers. “I don’t want to use the word servant, but they are humble servants—they’re always here to serve,” said Meredith Mooney, chair of Keizer United. Mooney has worked with the Moores through Keizer United for two years. “They won’t even tell us, they’ll just go out and find amazing things” for the organizations Keizer United partners with, whether that’s in-kind donations of toiletries for the McNary Kloset or monetary donations to build a fence around the Rickman Community Garden. They knock on doors until they get what they came looking for. The Moores weren’t always volunteers. Jerry owned and worked in underground utilities for 25 years and worked for Drakes Crossing Nursery for 20 years. Peggy was a waitress. Their schedules were flexible enough for spontaneous car trips to Washington, but they had other priorities. Kids, work, relationship, the usual. “Once you retire, you got to find something to do. If you don’t, you’ll go stir-crazy,” Jerry said. “So [Peggy] said, ‘Well let’s go down to the Salvation Army.’ Then we went to other things they had, and then we went to the Food Share.” And it just spiraled out of control from there. In a good way, of course. The Moores weren’t always The Moores. They knew each other for two decades decades prior to tying the knot, when Peggy was 50 and Jerry was 56. “He kept pursuing me and I got to thinking, one of these days I’m not going to have anybody to sit and have dinner with, it might be a little lonely,” Peggy said. In this weakened state of mind, she found herself with Jerry at the Lancaster Mall. “Let’s go to the jewelry store,” he said. “So I picked out a ring,” Peggy said. 22 years later, the Moores are both in their 70s, and they finish each other’s sentences and squabble about details in the affectionate way only two people who have known each other too well for too long can. A good example comes when Peggy starts to tell the story of her surgery and recovery. “I had open-heart surgery. You can see my scar,” she says, gesturing to her chest. “They tried to cut my throat, do you see how high it went?” She chuckles. Jerry picks up the thread. “So I took her down to McNary, and we went around that track,” Jerry says. “I was with you a lot of those times,” Jerry returns. “Sitting on the bleachers,” she says, getting in the last dig before continuing. But that wasn’t enough of a celebration. In 2013, the year after her recovery, she completed a 5K every month for twelve months. Because why not? “Don’t think about how old you are in numbers,” she said. Peggy has another piece of life advice for you. “Every five years, look back and see the things you’ve done and accomplished,” she said. Life runs in stages, and it’s important to see where you’ve been, so you know where you want to go. Travel has been one of those things for Peggy, staying healthy has been one of those things for both of them. In addition to Peggy’s heart surgery, Jerry was hospitalized for several serious health issues. During one stint in the hospital, he lost about 90 pounds. Peggy nursed him back to health. That was three years ago. Now, they continue to do what they do best: volunteer. It’s important to them, because people are important to them. “You never know who you’re going to touch, or where the person you’ve touched is going to go,” Peggy said. One instance of touching people’s lives Jerry cites is their work in the community garden, where they installed special, raised planter boxes for gardeners who couldn’t maneuver in the dirt as well as they used to. they’ll tease each other when asked the question of what makes their life together work, you can see the truth in the way they interact with each other. At the end of the day, they’re happy. “We haven’t had a lot of money, but we’ve had a good life,” Jerry said. 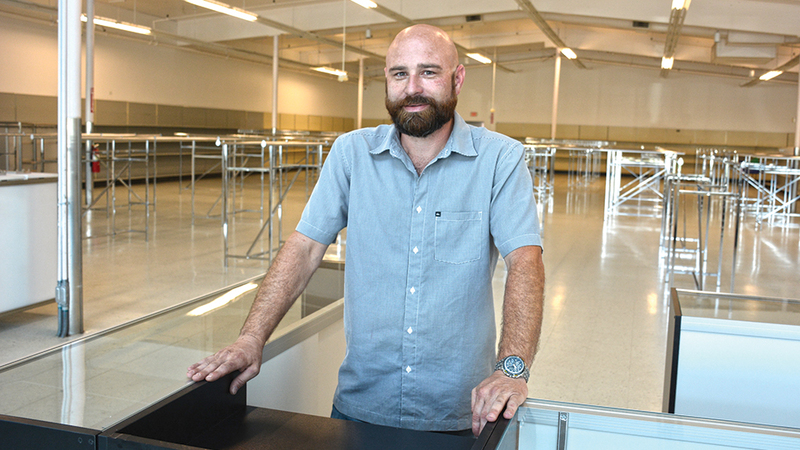 Mike Kenney is manager of The Thrift Store, which is planning a September opening in the old Goodwill location. Goodwill vacated its Keizer location in April, but a new thrift shop is gearing up to take its place. 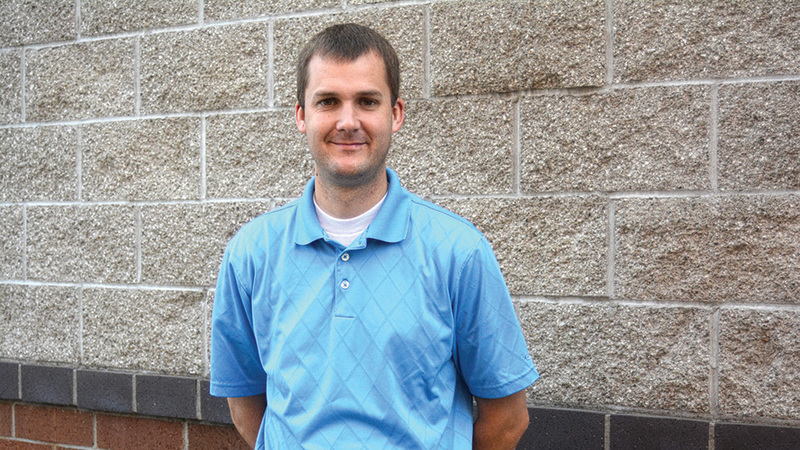 The Thrift Store, 3840 River Road N., is pushing for a September opening, said manager Mike Kenney. “It will be a thrift store first and foremost, but there will be different selection and a more varied mix of new items to complement the used items customers expect,” Kenney said. The differences start with the store’s layout. Kenney relegated shelving units to the outside walls and added about 200 feet of additional space for clothing items. He’s also doubled the size of the book section. “We’re trying to create a different shopping experience. We don’t want things like shelves jam-packed with picture frames because you can’t shop them,” he said. Dispelling clutter and preconceived notions is only part of the plan. Customers might also find high-end items unexpected for a thrift store setting. Kenney said the business is a new venture for the owners who have chains in California and part of another in Texas. The Thift Store isn’t technically part of those operations, but it is the flagship location in Oregon. Those looking to donate items, like they once did at Goodwill, can also donate to The Thrift Store knowing they are helping a worthwhile cause. All proceeds from clothing donations will support the Big Brothers and Big Sisters Foundation. The store will provide the service, but Big Brothers and Big Sisters will be the receiving agency of the donation and The Thrift Store will purchase the items from the foundation. Kenney, a longtime Salem resident who owned and operated a delivery service for 15 years before joining The Thrift Store, said Keizer and the former Goodwill location were a natural fit for the new venture. “We followed them into a spot that was doing well to begin with. Keizer has a nice demo and it’s a good place to start,” he said. 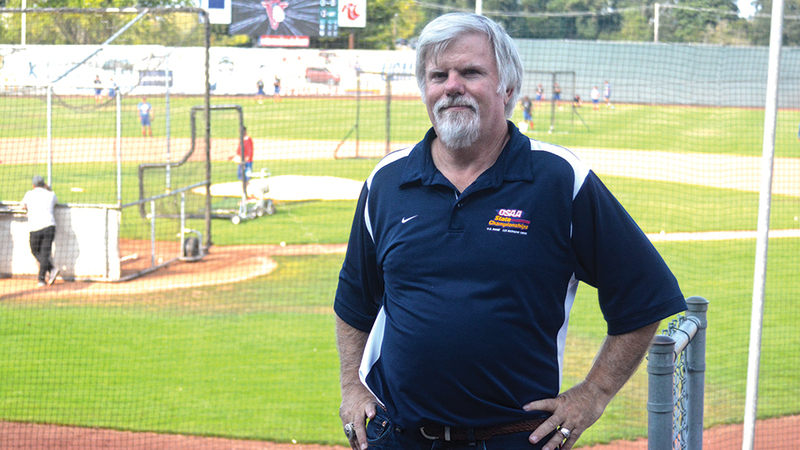 For 22 seasons, Rick Nelson has not missed a Salem-Keizer Volcanoes home game. But like all baseball streaks, that must come to an end, as Nelson is retiring as president of stadium operations at the end of the 2018 season. Nelson has been friends with Jerry Walker, owner of the Volcanoes, for 42 years. The two met in the circulation department at the Everett Herald. After 20 years in the newspaper industry, Nelson left his job as circulation director at a newspaper in California to join Walker with the Bellingham Giants. He then came with Jerry and his wife Lisa to Keizer in October of 1996 to meet with contractors, architects and city officials about building a new stadium. Work on the stadium began in early January of 2017 and was completed in June in time for the start of the baseball season. However, the first game was rained out. There have only been three other rain outs since. The Volcanoes play 76 games, 38 in Keizer and 38 on the road, in 79 days each summer. As president of stadium operations, there isn’t much that Nelson doesn’t do. And the work doesn’t stop after the summer baseball season. Volcanoes Stadium is also home to Corban University’s baseball program and hosts events like the OSAA state baseball championships and RV and car shows year round. There are also renewals for season tickets and marketing to take care of. Since the San Francisco Giants Single A short season affiliate moved to Keizer, the Volcanoes have won five Northwest League championships—1998, 2001, 2006, 2007 and 2009. More than 100 Volcano players have reached the big leagues where the Giants have won three World Series—2010, 2012 and 2014. Nelson has rings from all eight titles. Retiring will allow Nelson to take a summer vacation with his family for the first time in 22 years and give him more time to spend in Dublin, Ireland, where is daughter Zoe, a 2013 McNary graduate, is a veterinary student. It will also drastically shorten his wife’s commute, who as an employee of Alaska Airlines, has driven over 400,000 miles commuting back and forth to work from Keizer over the past 22 years. The Nelson’s have a floating home and a sailboat on the Columbia River about three miles east of the airport. Nelson will miss the people he interacts with each season the most. But Nelson isn’t completely going away.